​A week after suffering a concussion whilst on international duty with England, Luke Shaw could be set for a return to first team action against ​Watford. 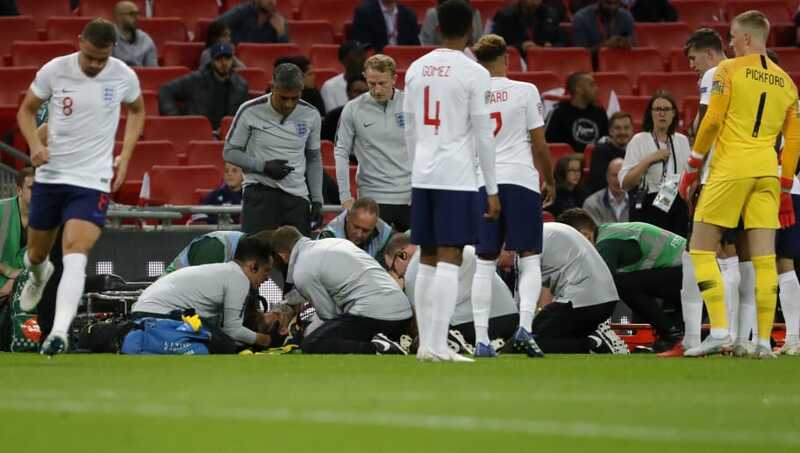 The ​Manchester United full-back was stretchered off during ​England's UEFA Nations League defeat to Spain on September 8 and seemed certain to miss the Red Devils' next fixture. FA guidelines state that a player should be unavailable for selection for 14 days following a concussion. He suffered concussion last week. And now Luke Shaw could be back much earlier than some may have expected. However, the ​BBC reports that due to United's treatment in an 'enhanced care setting', the full-back may be allowed to return sooner than anticipated. The guidelines also say that if a player meets seven criteria, he will be allowed to return to the match day squad. Shaw has enjoyed an upturn in form this season after struggling to break into the United team under Mourinho. Due to the England international's lack of game time, many pundits questioned if Shaw should stay in Manchester if he wanted to develop his career. However, the 23-year-old revealed that the manager contacted him over the summer to reassure him of his place. As quoted by the ​Manchester Evening News, Shaw said: "I spoke with the manager about a week after the holidays, I was in Dubai and he texted me and we had a really good chat. It made me feel really confident about the upcoming season and that's why I worked really hard." The left-back continued: "It was a breath of fresh air when he texted me. I wasn’t expecting it. I was on my phone and I got the text. I spoke to him and it was really positive, really good."